Incarnate film review (2016) Directed by Brad Peyton. IM Global, Blumhouse Productions, WWE Sudios. Distribution by Blumhouse Tilt, High Top Releasing and Universal pictures. Certificate 15, running time 91 minutes. Starring Arron Eckhart, Carice Van Houten, David Mazouz, Catalino Sandino Moreno, Mathew Nable. Incarnate is simply a cross between any exorcism movie mixed with the 1984 film Dreamscape, with the modernist approach of Inception. 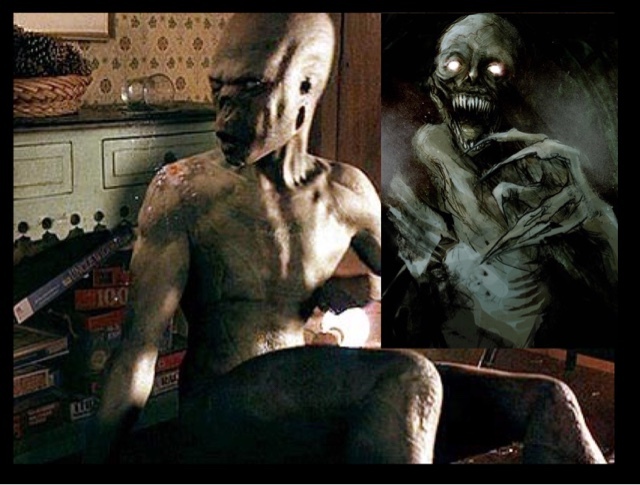 A scientific view on the whole exorcism scene, using science, and a unique gift of psychic abilities, the ability to tap into the subconscious brain, where a possesd person will be, trapped in a dream like state, as the entity is called a parasite in this movie attacks the host from within, feeding of its energy. If you can convince the person or their subconscious that the reality they are experiencing is not real, the host can force out the parasite or evil entity from within as it will no longer have power and control over it's host, and will no longer be able to feed off the host it is residing in. Sounds complicated but this film actually works, on paper you look at it and think "what the funk" a man with psychic abilities can tap into the subconscious mind of someone who is possesd, convince their dreamlike state is not reality, and force the host to fight the entity from within. Sounds preposterous doesn't it but it really is a good idea, in a market flushed with exorcism movies, to use one using science, and the fact every human has electrical energy attached to them, the same as an evil entity needing that energy to survive, is a very clever one. Although I noticed the similarities between this film and the probably forgotten Dreamscape early on, having two people in one room, both in theory asleep, but using a psychic person to tap into the other persons dream, and destroy the evil within the Dreamscape is why this movie is so similar. The fact like in Dreamscape a young lad is being scared shitless by a dreamlike entity which needs to be destroyed subconsciously by then a young Dennis Quaid, but in this movie we have Aaron Eckhart, you can immediately see the similarities, but it doesn't destroy the illusion of this film. 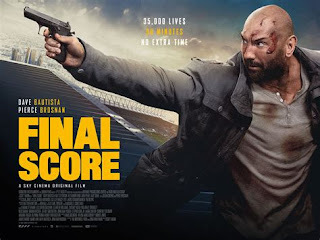 A well acted film, from all involved, it is hard to understand why Arron Eckhart never made leading man material, but with so many commercial flops behind him, such as I Frankenstein,The Core, you forget he was that great breakthrough actor in Erin Brockovich And Thank You For Not Smoking. Starring also Dutch actress Carice Van Houten from Game Of Thrones fame you have a strongly acted movie. With great support from the child actor David Mazouz, and Matthew Nable, the Austrailan Football star turned actor, who was last seen in Son Of A Gun. Although this film isn't scary, has no jump scares, it is just so interesting to watch, it does have some gore moments, cannot understand the 15 certificate as it could have easily have been a 12 or PG13, but I still enjoyed this movie, with a great ending to boot, we have one of my biggest surprise films I have seen so far this year, yes it ain't perfect, but is one of the best alternative to exorcism films I have seen in a while, an enjoyable romp of a film. The DVD and Bluray both come with theatrical cut and the extend cut, it comes with an ultraviolet code for your online movie storage, and just Deleated scenes as extras, shame as I would have liked a making of for this movie. The picture quality is excellent, no grain and a great soundtrack if you have a good surround system, or listen through headphones like I do. * I reviewed this watching the extended cut.